Renault cars India, the French auto maker’s Indian arm has increased the price of its SUV by up to Rs. 40,000. The new prices will come in to effect from 1st of October but the price will be same for those who booked this vehicle before October 1st. this SUV has received a tremendous response from the Indian customers because of its low cost and good engine options. The company has increased its price because of the instability in foreign exchange value and due to increase in the value of raw material that forced company to increase its value. Initially, it was launched with an attractive introductory price of just around Rs. 7.19 Lakh but due to the market reasons, the company had to increase its value. The company is facing the flood of orders from the Indian customers and because of which, the working shifts has been increased to three shifts in Chennai based plant and increased the output. 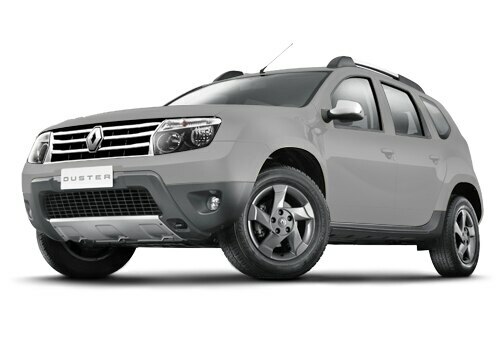 Renault Duster is doing tremendously well in Indian markets which are helping company to make its mark in Indian markets. This SUV comes with refreshing looks that would certainly catch your eyeballs. Renault Duster is unique in its class that comes with distinct values and standards in the Indian markets. It offers matchless comforts and performance like no other SUV in its price range. It offers superior control for the driver along with matchless luxury or comforts that will return complete value for your money. Among all Renault cars, Renault Duster is the best selling car that comes with manual petrol and diesel engines. The petrol version of this vehicle comes with 1598cc displacement and the diesel version comes with 1461cc displacement. The diesel version of Duster can give a mileage of about 20.46Kmpl and the petrol version is expected to give a mileage about 13.24 Kmpl. After the increase in price, the Renault Duster price will start from somewhere around Rs. 8.35 Lakh. There are several variants available in this model and the Renault Duster features may vary depending up on its variants. As of now, it is difficult to estimate the exact Renault Duster price. Renault Duster pictures made it to the hearts of many Indian customers because it has got some decent and elegant looks that no other SUV in its price segment has got. Although, its price has gone up, customers can choose it as it special in terms of performance, features and various other aspects. There is no doubt that the vehicle will go on to reach your expectations by delivering superior performance. Renault launched the impatiently expected Duster SUV in the Indian market.